Grab a drink and an outdoor chair, and watch nature unfold before your eyes with a Coleman? Steel Creek? Fast Pitch? 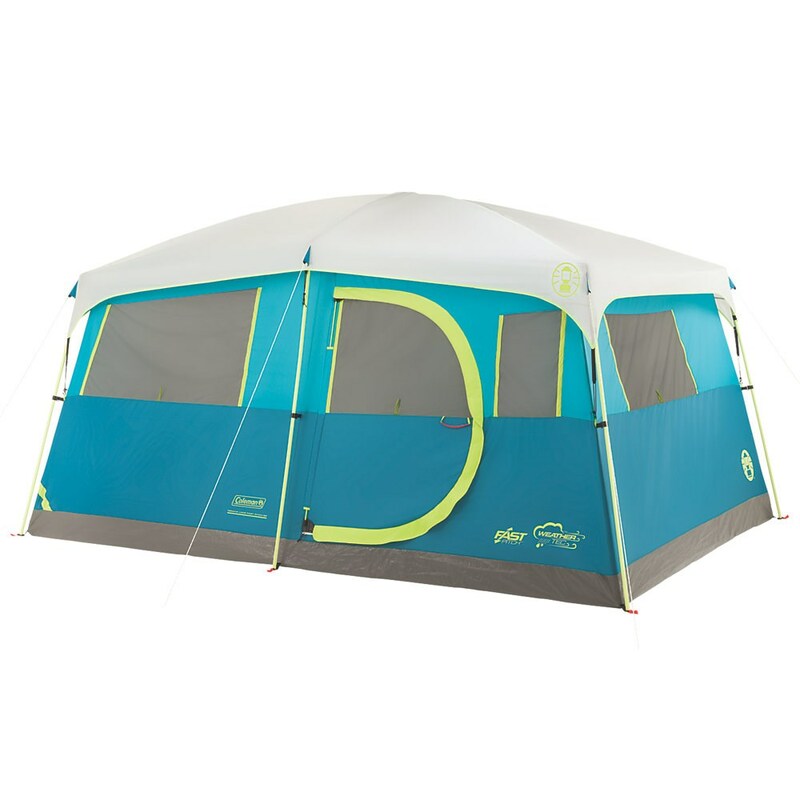 6-Person Dome Tent with Screen Room. During the day, the screen room is a great way to stay away from bugs while enjoying the great outdoors, and with a full floor you can use it for extra sleeping space on warmer nights. The Fast Pitch? system uses pre-attached, color-coded poles and hub, fast fit feet and snag-free Insta-Clip? 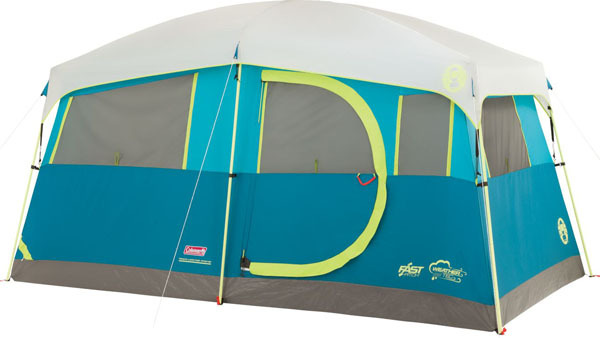 suspension to let you set up your tent 50% faster than a comparable Coleman? 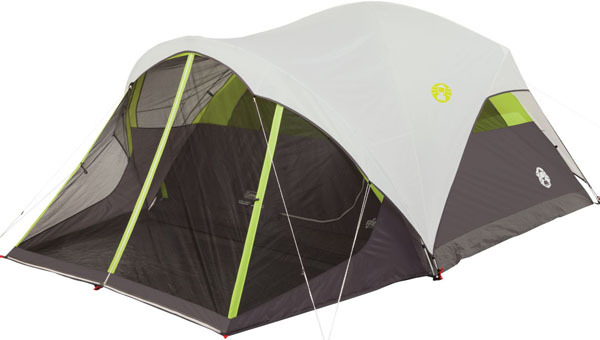 tent with conventional setup. 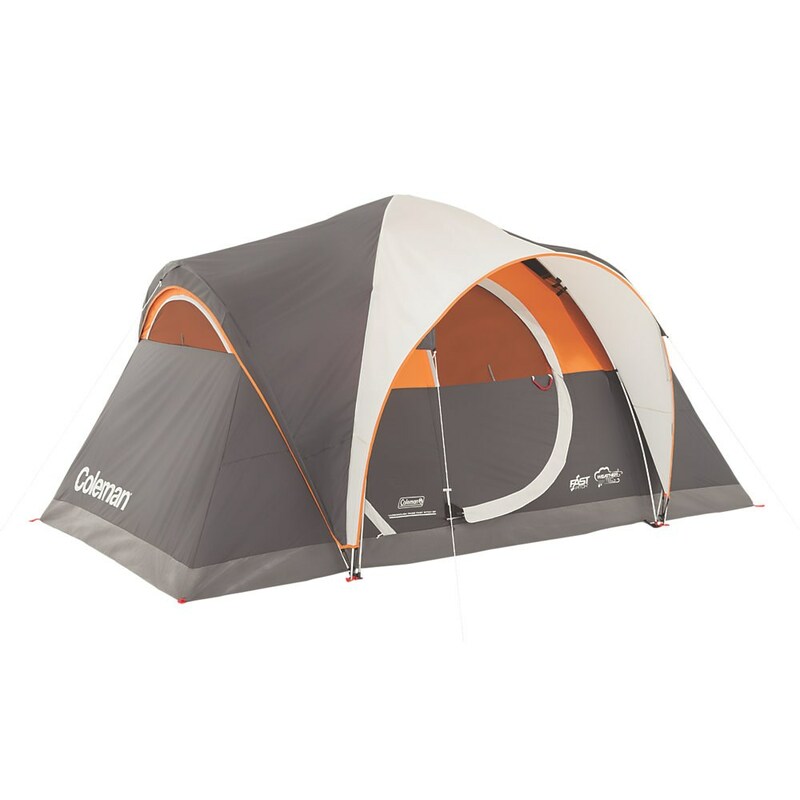 If it rains, the tent is 75% more water-resistant, and the WeatherTec? 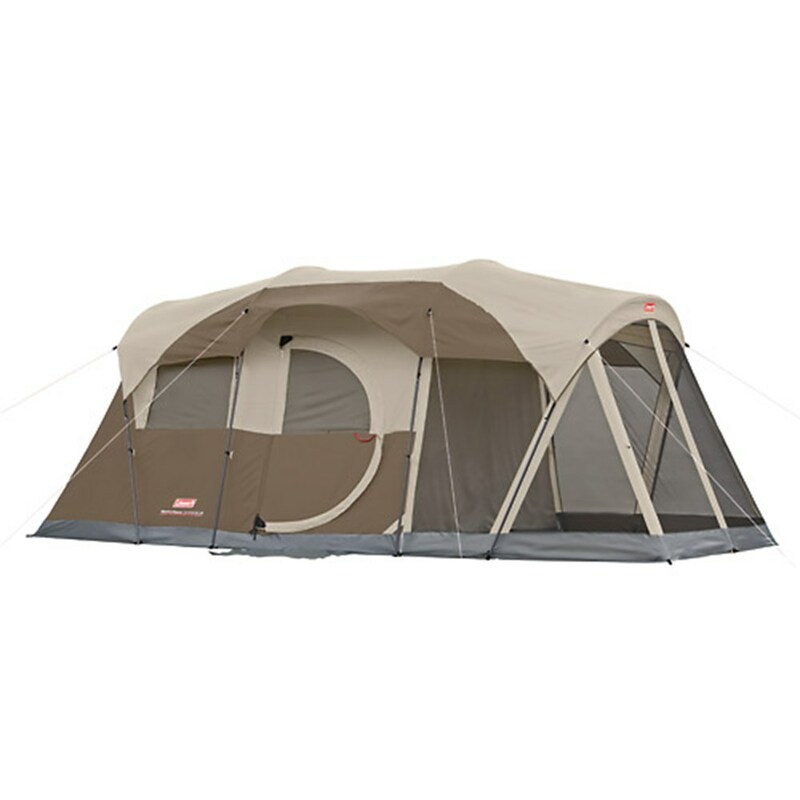 system with its patented welded floors and inverted seams also helps you stay dry. Awnings over the windows create ventilation without letting in any rain. Illumiline? reflective guy lines are more visible at night so you don't get tripped up if you need to take a walk in the dark. When it's time to head home, the tent easily packs up into a carry bag with a rip strip until you're off on your next adventure.